November 6, 2013 k3fitLeave a Comment on Wacky Wednesday: Have you Ever Heard of Tahini? Wacky Wednesday: Have you Ever Heard of Tahini? Have you ever heard of Tahini? 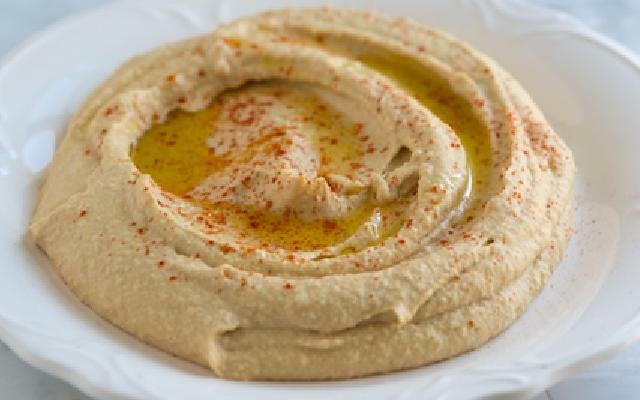 Chances are if you have eaten hummus then you have had Tahini. Tahini is a sesame seed paste, somewhat similar to peanut butter. It can be found in the natural foods section of most grocery stores. Tahini has a lot of great uses in both savory and sweet dishes! It’s rich in minerals such as calcium, phosphorus, lecithin, magnesium, potassium and iron. Due to its copper content it can help alleviate rheumatoid arthritis . Copper is known for its use in reducing some of the pain and swelling of rheumatoid arthritis. Copper’s effectiveness is due to the fact that this trace mineral is important in a number of anti-inflammatory and antioxidant enzyme systems. In addition, copper plays an important role in the activity of lysyl oxidase, an enzyme needed for the cross-linking of collagen and elastin—the ground substances that provide structure, strength and elasticity in blood vessels, bones and joints. Copper is known for its use in reducing some of the pain and swelling of rheumatoid arthritis. Copper’s effectiveness is due to the fact that this trace mineral is important in a number of anti-inflammatory and antioxidant enzyme systems. In addition, copper plays an important role in the activity of lysyl oxidase, an enzyme needed for the cross-linking of collagen and elastin—the ground substances that provide structure, strength and elasticity in blood vessels, bones and joints. Grab a jar of Tahini today and try out these recipes and all of the benefits that Tahini can offer to your health! Pre-heat oven to 350. In a large bowl, mix tahini, chia mixture (or egg), cinnamon, coconut sugar, pinch sea salt until well combined, then mix remaining ingredients. You might want to get in there with your hands to ensure it’s well combined and dough-like consistency is formed. Roll into gold-size balls in your hands, then press flat on cookie sheet lined with parchment paper or greased with coconut oil. Smooth top and form into rounds. Bake until golden, about 20 minutes. Let cool completely before eating. Place peas, Tahini, garlic and lemon juice in a food processor, and blend to a coarse mixture. Continue to process, slowly pouring in Oil until desired consistency is reached. Add salt and pepper to taste. At this point you have a basic Hummus. From here you can do anything. I like to add pickled jalapenos to spice it up. Smoked paprika and cumin also make a nice addition. Or try roasted red peppers, olives and feta cheese to really have a Mediterranean treat. Serve with fresh veggies, toasted pita bread, sesame sticks, pretzels, or whatever you like. Try it on sandwiches and wraps. Previous Teach Your Kids Tuesday. Family Fall Fitness! Next Post Workout Nutrition! Take Care of Yourself Thursday!